Underground interviews with my "upper room" minded friends. Here are conversations for THE NERD in all of us that wants to learn more. 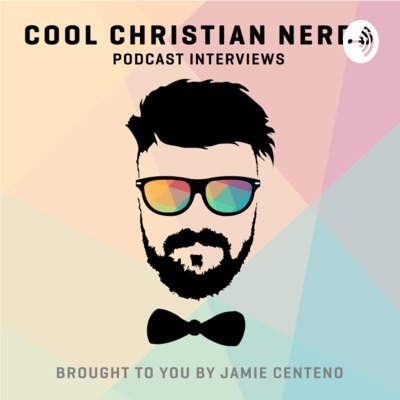 Cool Christians Nerds is your digital discipleship fix. Music is the art form that has been responsible for so much beauty as well as so much ugly we see in the world. This podcast is a one-on-one discussion on telling the difference between who is going the music industry route from those bringing the music as a ministry. Featured guest is William "Duce" Branch aka The Ambassador. Whether you are comfortable or not with the prophetic stuff that happens in and out of churches this interview can help. The prophetic can be seen as spooky or silly but we don’t often describe it as sophisticated. 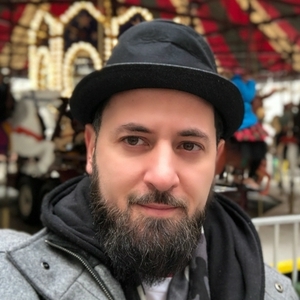 My interview with Rob Sanchez is geared to ground us in better understanding of how the prophetic should flow. Scandalous is one word to describe the story the media is has portrayed our leaders and world. Where do we stand when it comes to the political or race war? I know we were taught not to discuss politics or religion with family but if we are not talking about with those we care about then we are left to listen and form an opinion from the talking heads on our screens. Listen to this insightful interviews with Bishop Michael Pitts. You ever feel the tension when you're in a conversation with another Jesus follower who has a different understanding of what the bible says? Some of those people might be from a different camp but within the same Kingdom. On this COOL CHRISTIAN NERDS interview we will discuss reformed teaching and Calvinism with Tim Doering the overseers of Netzer. Have you ever desired to write a book but you are having a difficult time following through with it. Where do you start? How do you start? I am interviewing a young author and TV host of Encounter TV David Diga Hernandez about unblocking your writers block. Don't get freaked out! We are not going to be talking about witches and warlocks on this episode. Are Generational curses are a real thing? If you know people who no matter what they do can't break those "bad habits" then you might learn something from this interview. Let's take a sneak peek into the book Breaking Generational Curses written by the lead pastor of Lifegate church Brian Gallardo and find out why is this an important subject for us to understand. Will hurt leaders hurt others? Ouch! The sting from disappointment stings the most when we are hurt by those who are the closest to you. This is an inevitable reality to the ministry. The higher you go the lower you get hit. We can't ignore that this happens so let's talk about it before some unexpected person we care for gets hurt because of our hurt. The first movie Pixar put into the theatres was epic Toy Story. You got a friend in me are the lyrics of the song that captured the heart of the computer-animated tale. They say the life of a leader can be a lonely journey. But does it need to be? Is faithful friendship possible? Round up your company and sit down for this conversation that promises to keep you talking afterward. It has been reported that the White Rhino is an endangered species. As sad as that news is there is news that is sadder. Real disciples of Jesus Christ may be an endangered species as well. Let's hear​ why that may be the case and how to spot if you are one or not. The old school saying "You're faking the funk" was coined for those who were trying to be something they are not. Church gets a bad rep mainly due to the imposters who are living one thing and saying another. Let's get real about what's fake so we are not tricked by those only playing the part. Grinding. Making money moves. All of us are trying to move forward in life. Is there a holy and unholy way we can go about it? Find out why we believe there is. It doesn't feel good to be hurt by anyone but when someone at the church is the cause of the hurt, that's a different kind of hurt. Should it be that way? Find out how the flawed humans at every church are going to test if your humanity will run from God's perfect sovereignty. Navigating social media is one thing. Understanding how to engage it is another. Antoine Wright joins me in a enlightening conversation about our online lives.